After 24,5 hours of tight racing team Thunderbolt AR first crossed the finish line in coastal village Metung East Gippsland, Victoria Australia. 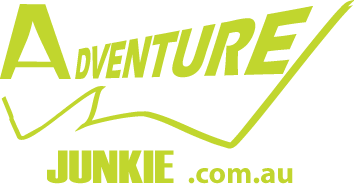 “We were just waiting till Peakadventure.com.au made a mistake”- admitted Hugh Stodart, team captain and main navigator when he was asked about their race. “It was very smoothly ran event, course was suitably challenging, we managed to pick a pretty good route through the trails up in the hills, ended up a good result for us”, he said. The race started at Mitchell river National park with short trekking rogaine style leg. Team #CBRAR led by Peter Preston, notable orienteer came first and quickly headed to the water. Few minutes later came PeakAdventure.com.au, followed by the whole bunch of other teams. The second leg of the race was meant to be white water 33 km paddling leg, but low water conditions added some extra portaging in it. PeakAdventure.com.au led by kayaking specialist Jarad Kohlar was first off the water, Thurnerbolt AR reached transition area few minutes. After the paddle teams started their journey through the hills to the East. Two mountain bike sections were mix of single tracks, motorbike and 4wd trails of different quality with little bitumen sections, in between teams trekked and had an exciting adventuregaine leg, where they could split into groups of two. There were few other dramatic changes over the night, when fatigue after the long hot day started to take its toll. Thunderbolt AR passed Peakadventure.com.au, going third into the longest mtb leg team Tiger Adventure French Connection led by Trevor Mullens dropped into 7th position. Trevor said: “We were feeling good and travelling well then we got the flat. 4 tyre levers and two tubes later, we finally got it repaired. 4 teams passed us while we were doing that. Then Laurant, our lead navigator, was sick and then we made a navigational error that cost us a lot of time. We lost momentum and were unable to recover the lost time. That’s racing”. The last two legs of the race were packraft and kayaking on Tambo river and lake King, which brought teams back to the race HQ Metung. The most favorite joke of the race became the phrase at the finish line that from the race maps it looked like there were not much of trekking in the race, but actually there was trekking with kayaks, trekking with packrafts and trekking with the bikes. Third teams at the finish line was BMX Bandits, they were stoked to have the 3d place trophy in amongst their piles of gear. “ The adventure racing stars aligned for us this X-Marathon. It was fast and furious race. After 27, 5 hours we crossed the finish line knackered, smiling and in third place- one of our best races ever”- they said. East Gippsland Shire Council supported the event and they are hoping to have teams back next year or any other time to discover more of East Gippsland in a bit slower pace.